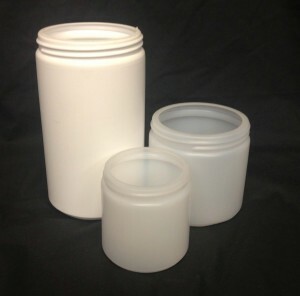 Wide mouth packers, also known as wide mouth round, and cc jars are the mainstay of plastic jars. 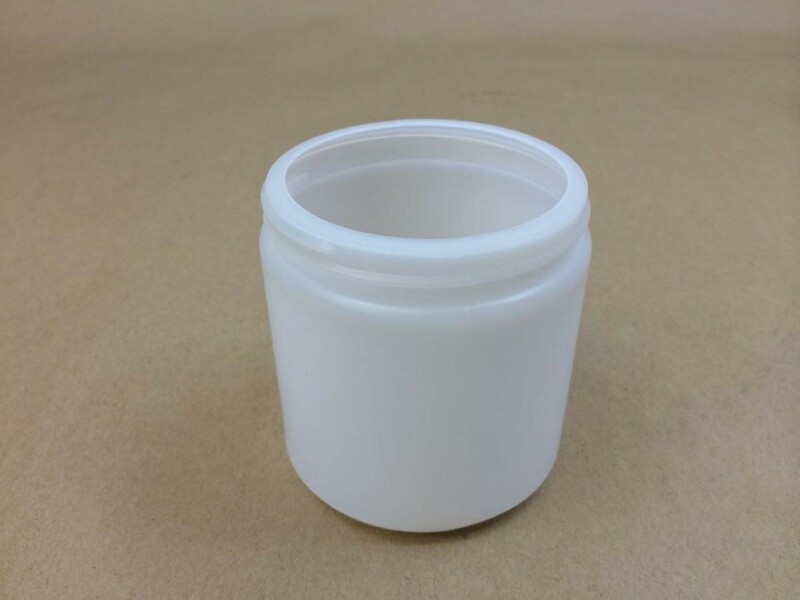 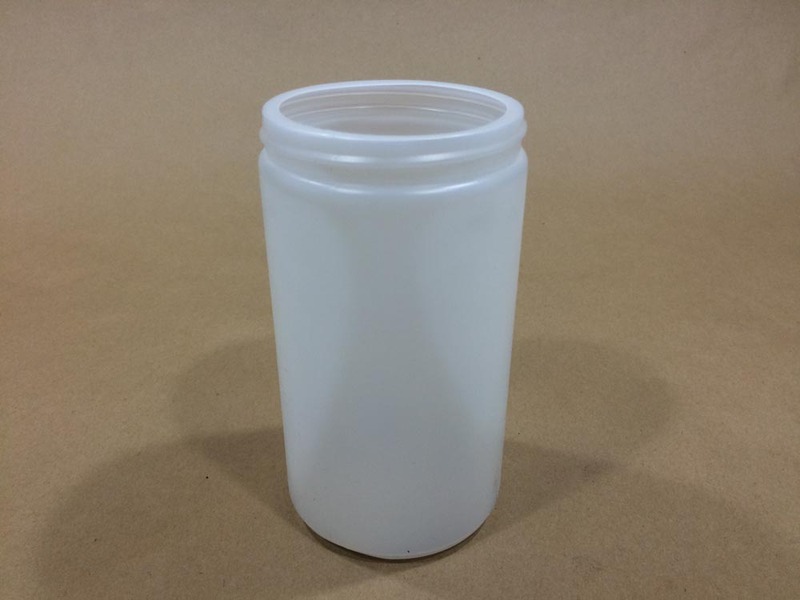 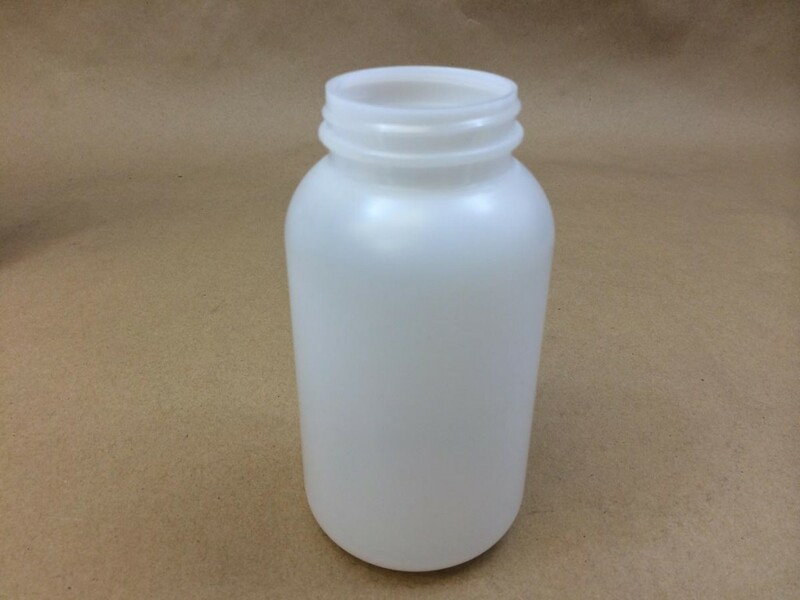 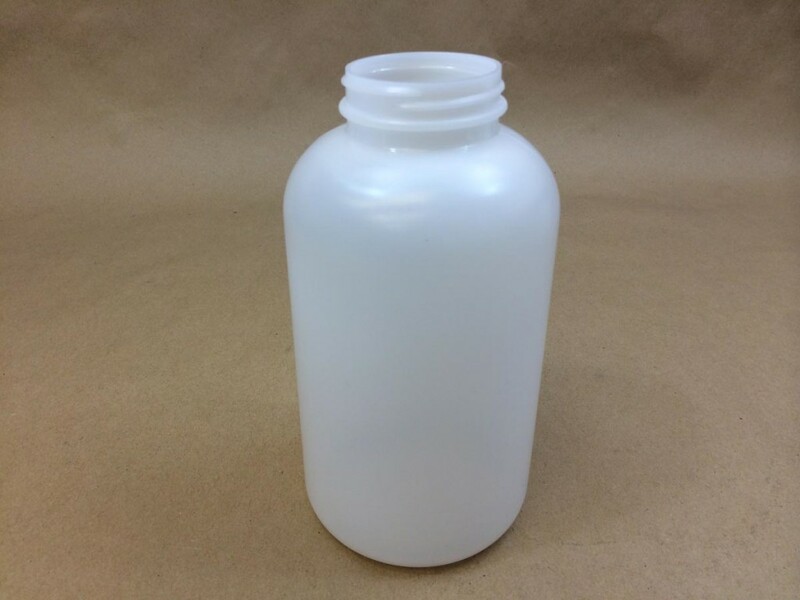 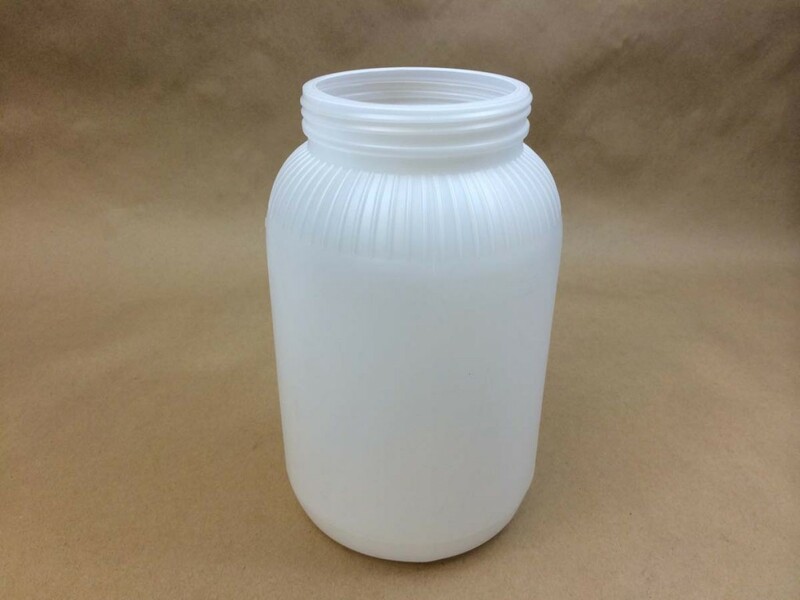 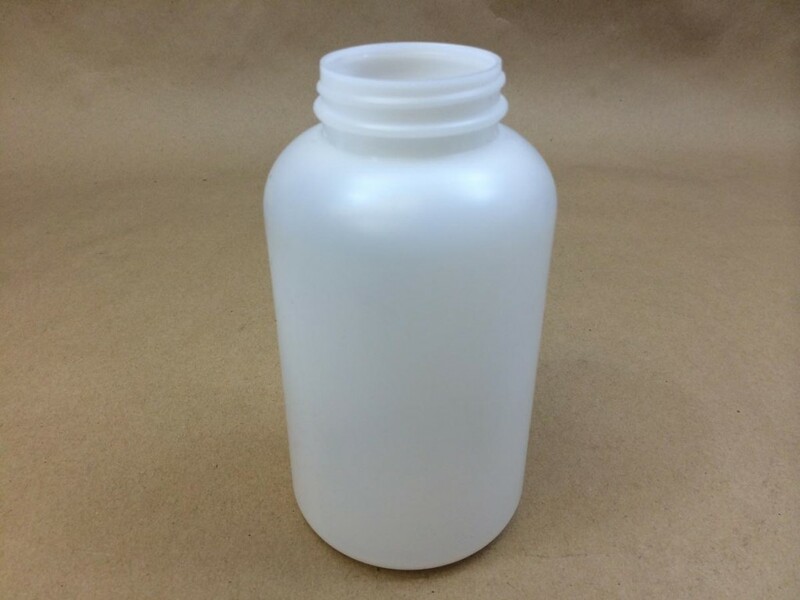 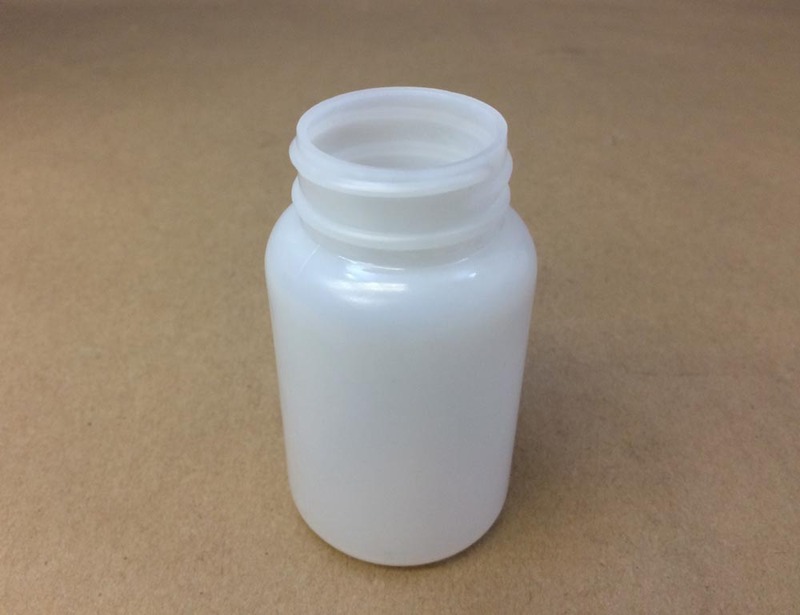 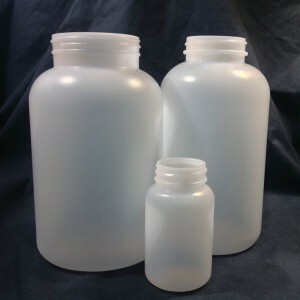 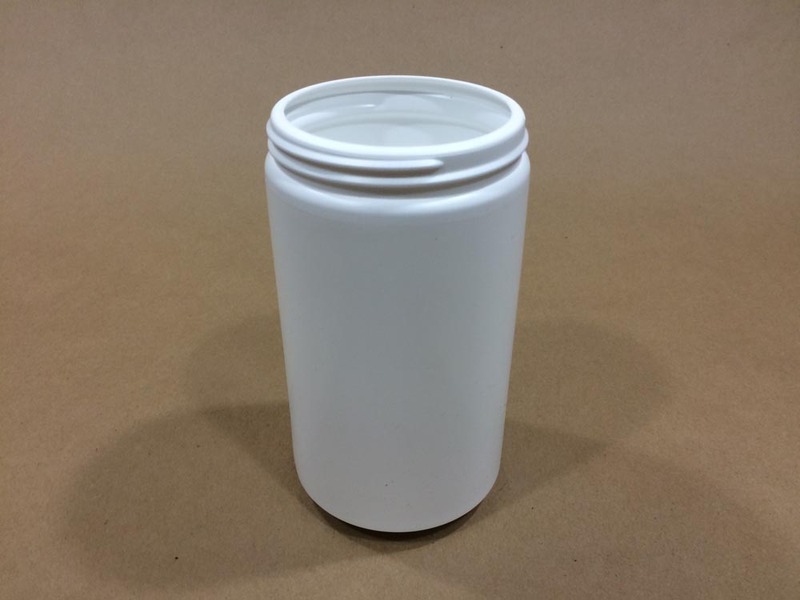 Made with high density polyethylene, these jars are frequently used to pack nutritional powders and supplements. 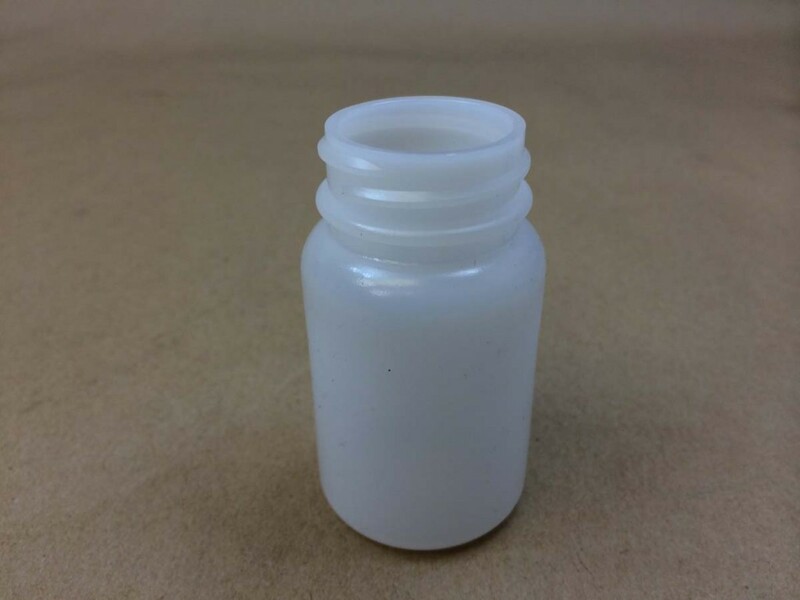 They are commonly referred to as pill or vitamin bottles. Lightweight, translucent (natural hdpe) and impact resistant they are a good choice when shipping your product. 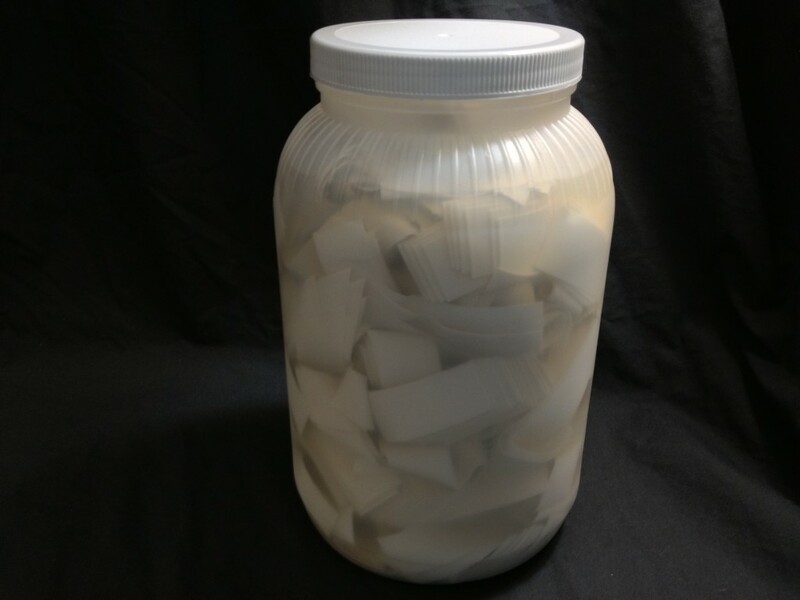 In the picture displayed to the right, we show our cellulose bands packed in liquid in one of our hdpe wide mouth jars.